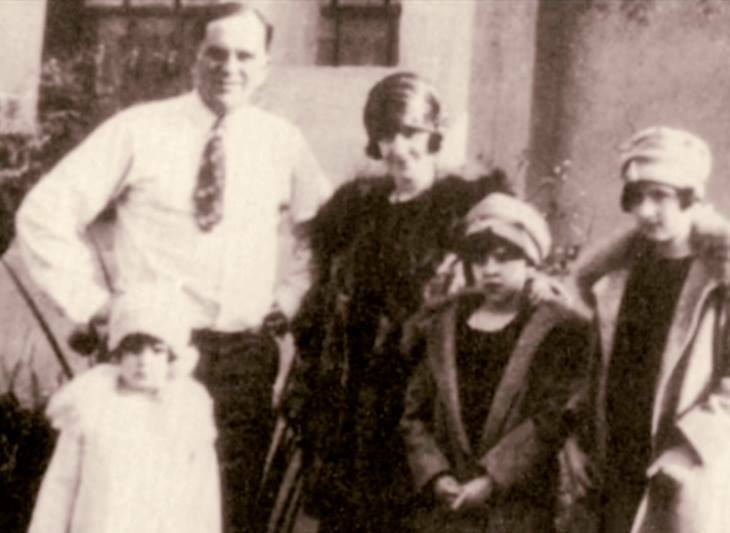 July 17, 1926: The Gumm family left Los Angeles and headed home to Grand Rapids, Minnesota. The trip has been a working vacation, with the family performing is various theaters in various towns along the way. 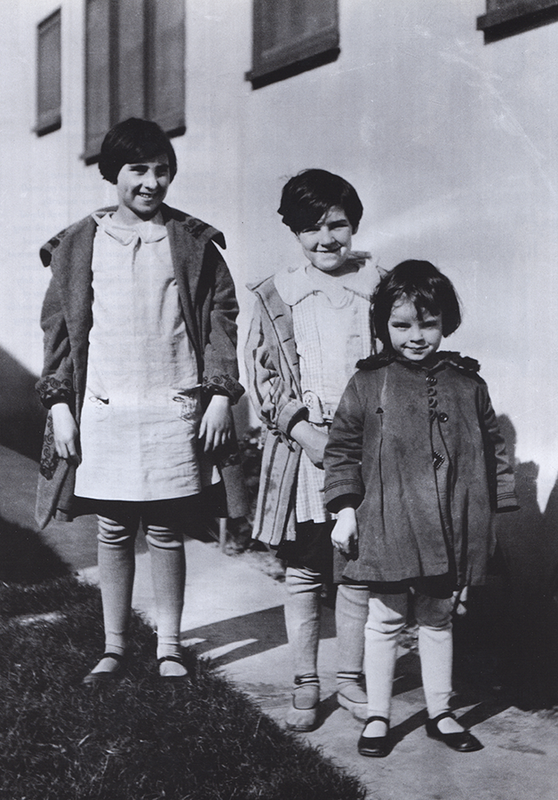 By October 1926 the family had decided to permanently move to California. Photos: The Gumm family in Los Angeles in 1926. July 17, 1932: “The Gumm Sisters” were part of the Sunday Night Only acts at the West Coast Theater in Santa Ana. 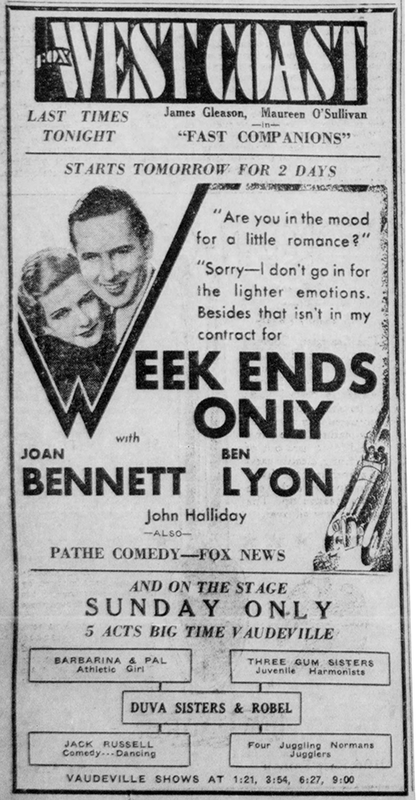 They were billed as “The Gum Sisters” (see the lower part of the ad above left) which was not uncommon although it would take the 1934 trip to Chicago for the act to finally change its name. On July 15th there was a “Junior Breakfast Club” lunch event in Santa Ana that featured “Vaudeville acts from the Fox West Coast Theater featured the entertainment program at the meeting.” It’s possible that The Gumm Sisters were part of this event although the only ad that lists the sisters is the ad for the Sunday event. July 17, 1933: Judy and her sisters performed on the “Monday Night Guest Artists Vaudeville” show as “The Three Gumm Sisters” at the RKO Hillstreet Theater in Los Angeles, California. 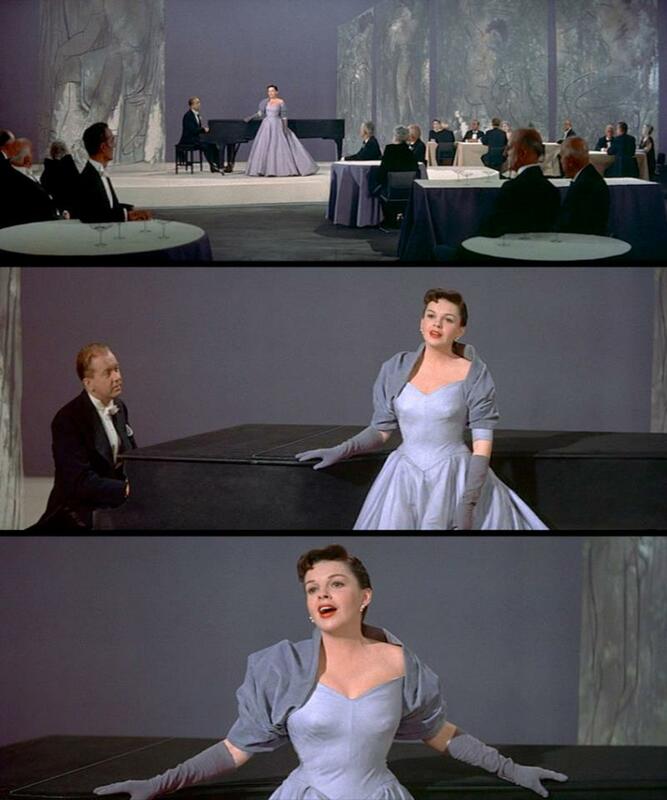 Frances Gumm (Judy) sang “Rain, Rain, Go Away,” and MGM casting Ben Piazza expressed interest in her, but nothing came of it. The engagement was the result of the sisters auditioning for RKO booking agents King and Winkler just the day before (July 16th). They were placed on the bill so quickly there was no time to put their names in the advertisement seen above. 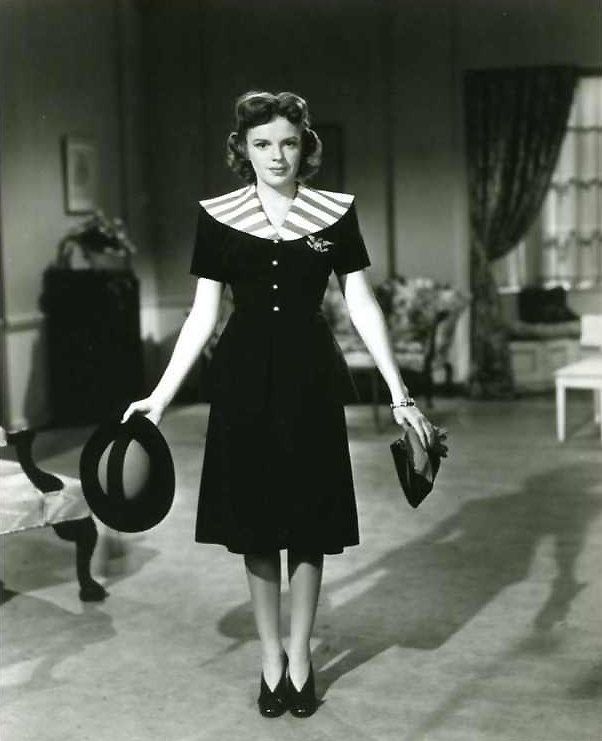 July 17, 1939: Babes In Arms filming continued filming on the “Interior Madox Theatre” set, specifically the “Finale” number on MGM’s Stage 27. 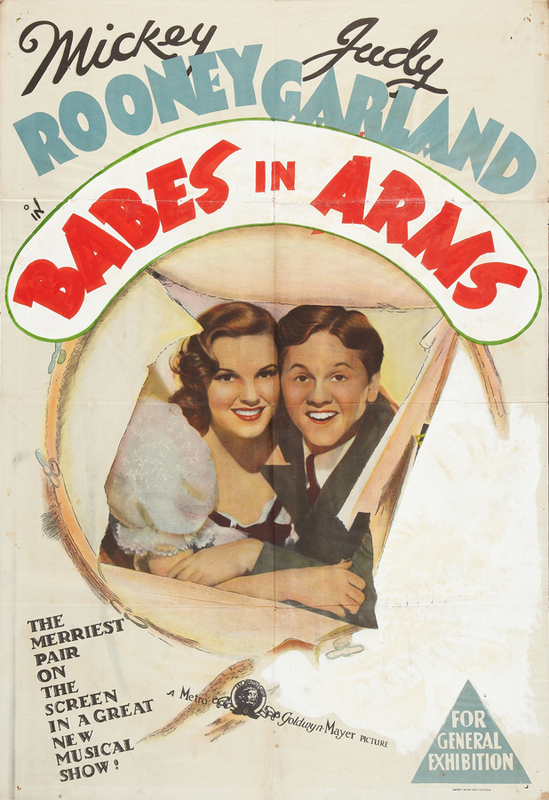 Judy was on the set at 9 a.m.; lunch: 12:30-1:30 p.m.; time dismissed: 6 p.m.
Photo: The poster above is a 1940 Australian one-sheet that uses the Strike Up The Band poster art, with some changes, as poster art for Babes in Arms, hence the area painted over on the right side. 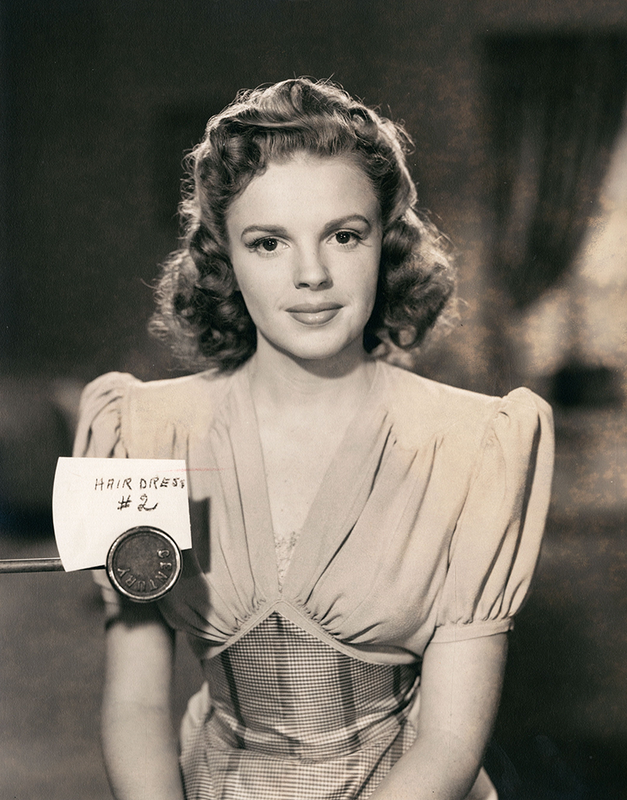 July 17, 1941: Judy posed for these hair and costume tests for Babes on Broadway. Time called: 2 p.m., dismissed: 4:30 p.m. A nice, and rare, short day for Judy at the studio. 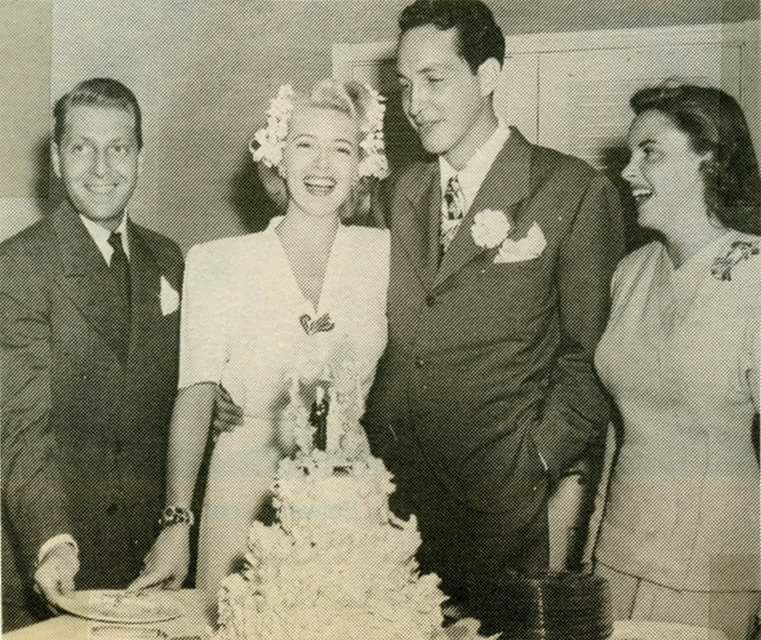 July 17, 1942: Judy and husband David Rose attended Judy’s Ziegfeld Girl co-star, Lana Turner’s, wedding to David Crane in Las Vegas. 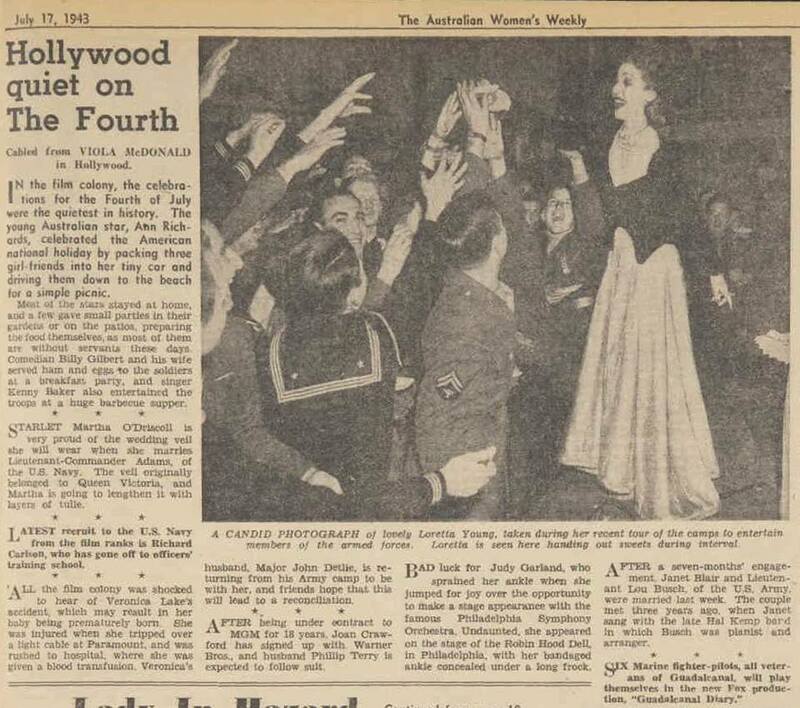 July 17, 1943: This article appeared in the Australian Daily News. 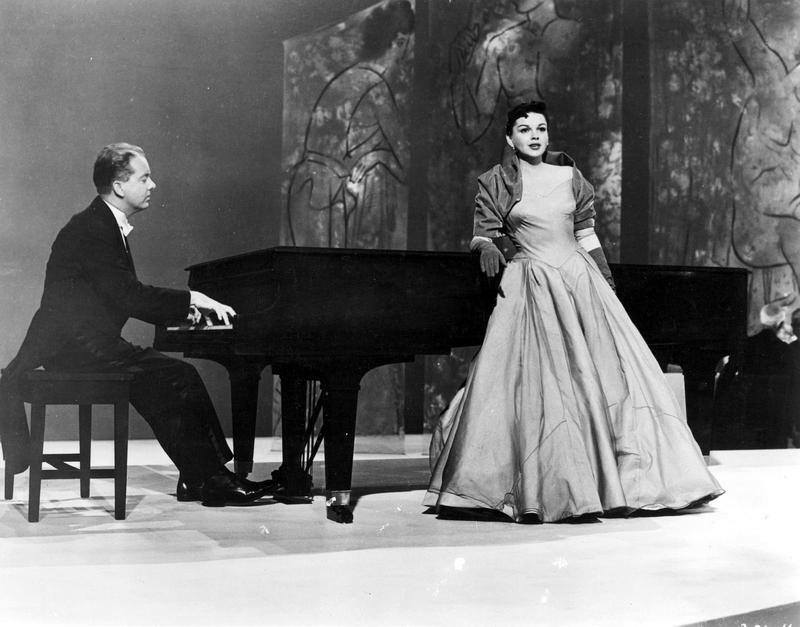 The article is notable as it references Judy’s very first concert at the Robin Hood Dell in Philadelphia on July 1, 1943. 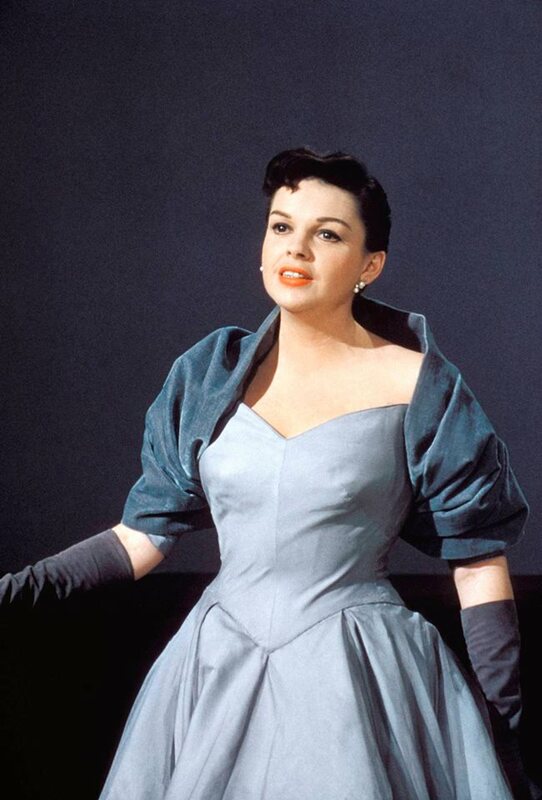 Bad luck for Judy Garland, who sprained her ankle when she jumped for joy over the opportunity to make a stage appearance with the famous Philadelphia Symphony Orchestra. Undaunted, she appeared on the state of the Robin Hood Dell, in Philadelphia, with her bandaged ankle concealed under a long frock. This is pure studio fiction. 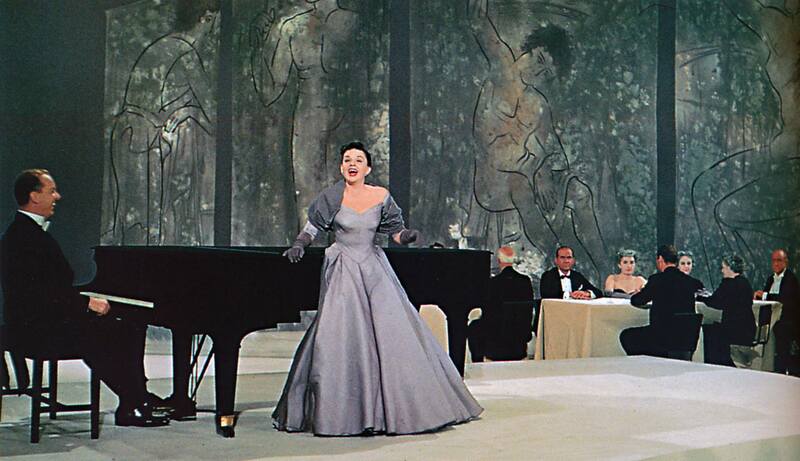 There’s no record of Judy having sprained her ankle from “jumping for joy” – but it makes for some great copy! 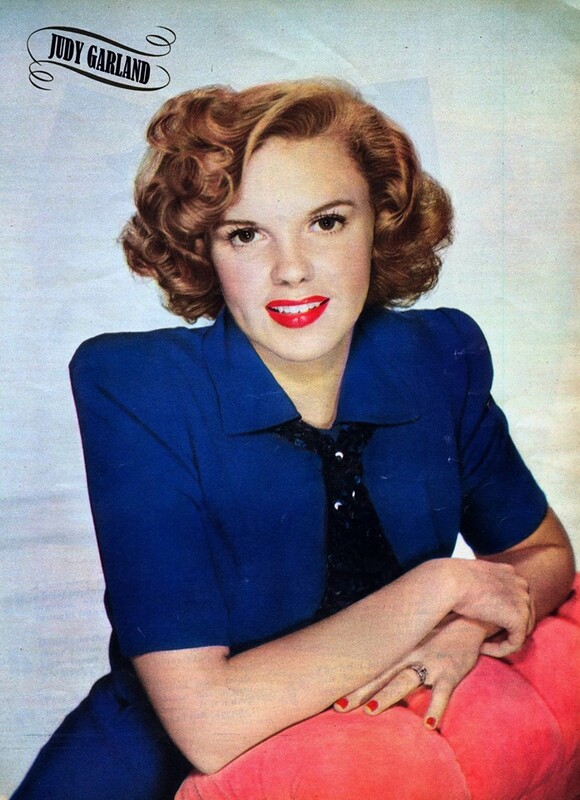 Photos: The article; Robin Hood Dell program; 1943 magazine portrait. 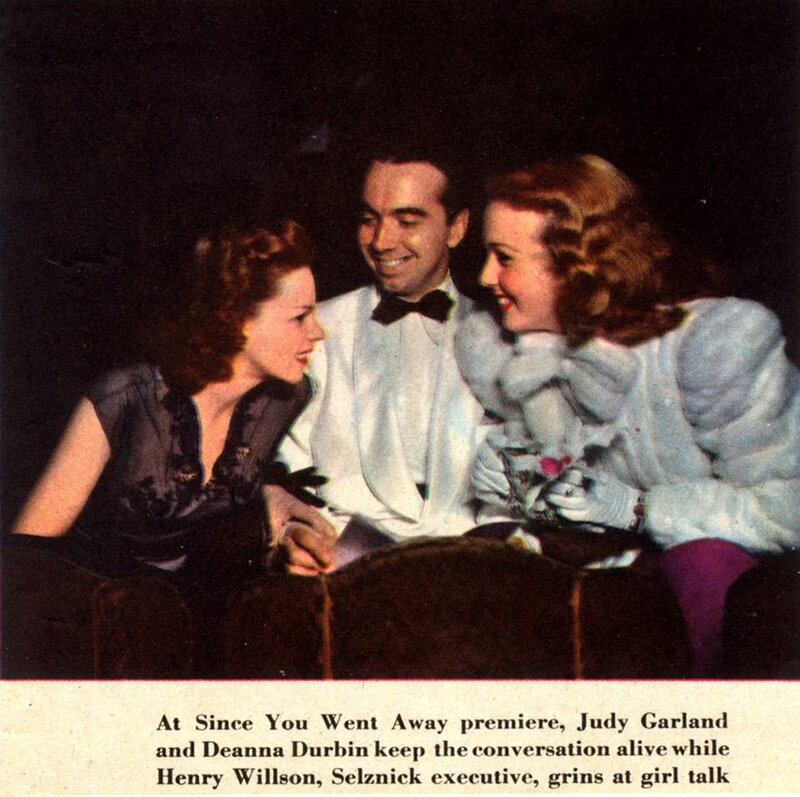 July 17, 1944: Judy went to the premiere of Since You Went Away at the Carthay Circle Theater in Los Angeles, where this photo was snapped of her with former rival Deanna Durbin and Selznick executive Henry Willson. 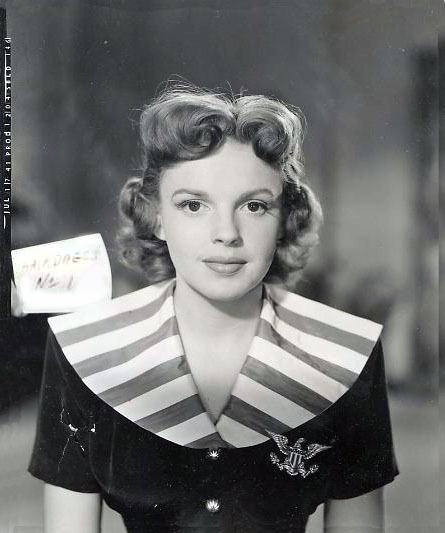 July 17, 1944: Judy was rehearsing “The Interview” number for “Ziegfeld Follies” at MGM’s Rehearsal Hall A. Time called: 1 p.m.; dismissed: 5:20 p.m. 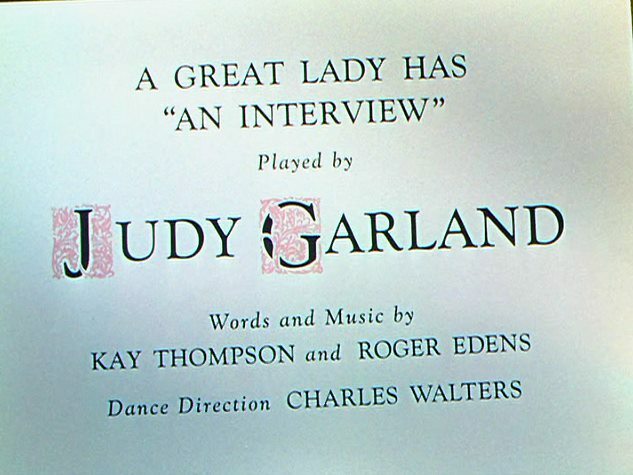 This was the first time Judy sang “I Got The Sun In The Morning” which at the time was a new hit from the Broadway show “Annie Get Your Gun.” She sang it again on September 29, 1946, for the “Command Performance” radio program and pre-recorded it for the MGM film version on April 1, 1949. 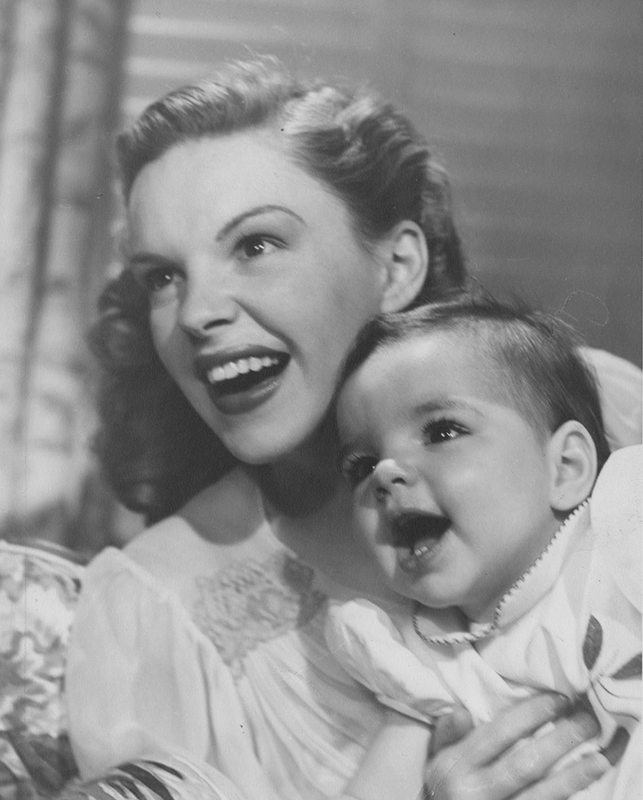 Photo: Judy and baby Liza. 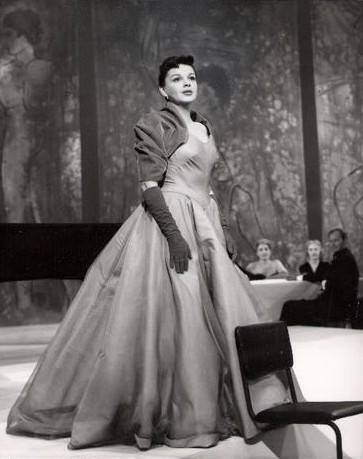 July 17, 1951: This photo was taken of Judy in Birmingham, England, during at an event during her week-long concert engagement at the city’s Hippodrome. Just a few days prior, daughter Liza arrived to be with her mother. I don’t have any other info about the photo as far as who’s with Judy and what the event was. July 17, 1952: It was officially announced that Judy was pregnant. She had Sid Luft had just married that previous June 8th in Hollister, California. 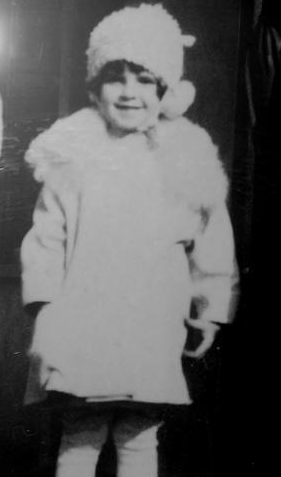 Judy gave birth to her second child, Lorna Luft, on November 21, 1952. 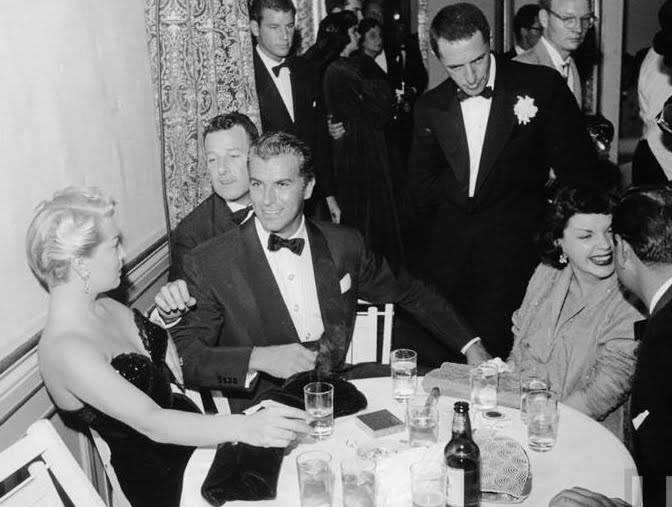 Photos: Judy and Sid in 1952; Having fun on the town in 1952 with (l-r at the table): Lana Turner, Roger Edens, Fernando Lamas, Judy, and Sid Luft. 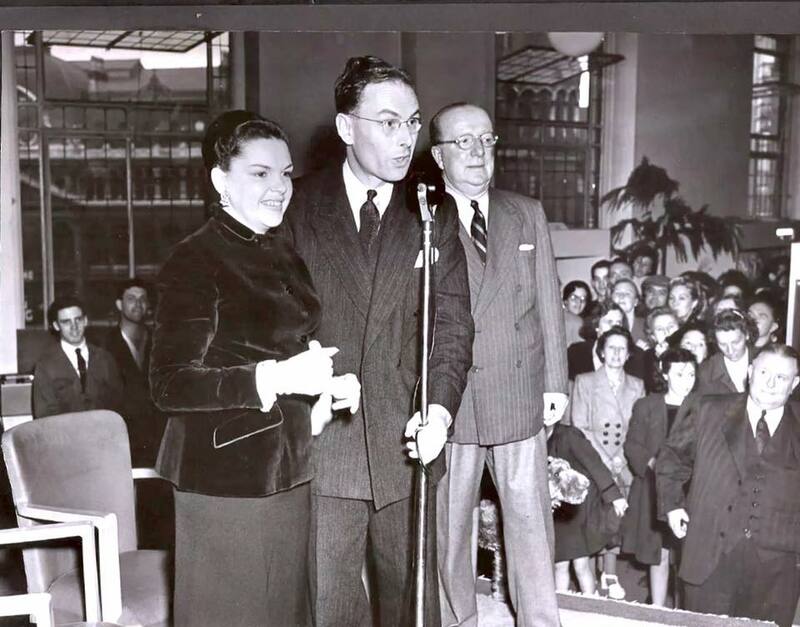 Man standing behind Judy with the carnation corsage is unidentified. 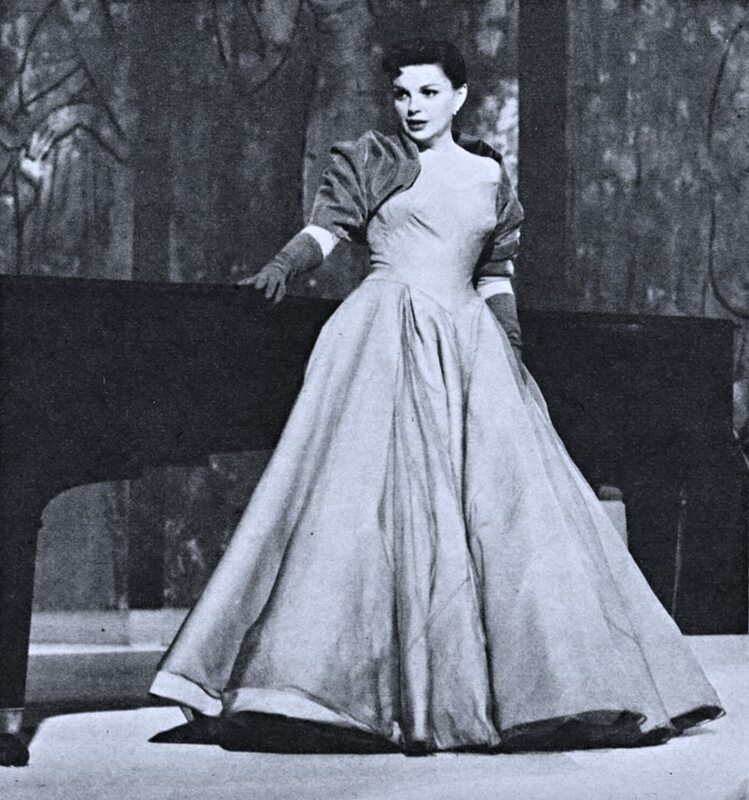 July 17, 1954: Judy filmed the “Melancholy Baby” number for the “Born In A Trunk” sequence for A Star Is Born on the “Interior Third Nightclub” set. 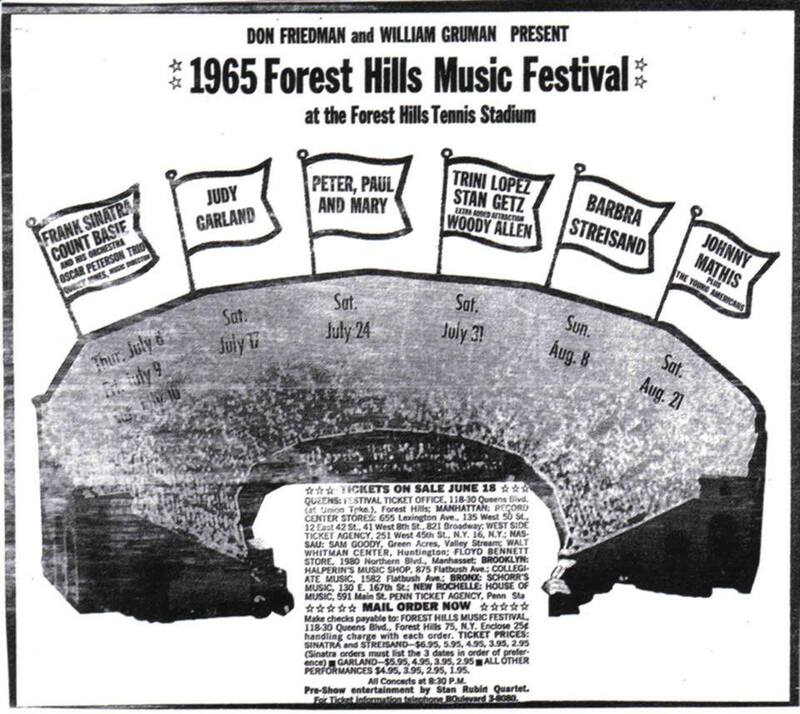 Time started: 7:50 p.m.; finished: 12:55 a.m.
July 17, 1965: Judy was in concert at The Forest Hills Stadium in Forest Hills, New York. 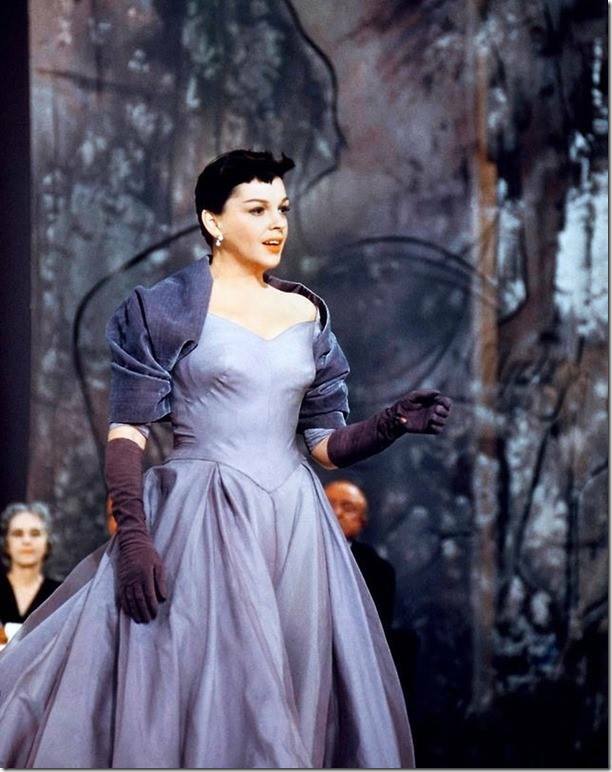 According to Variety, Judy broke a record for the longest standing ovation: Thirty Minutes at the conclusion of her 20-song, 90-minute concert in front of 10,000 people. 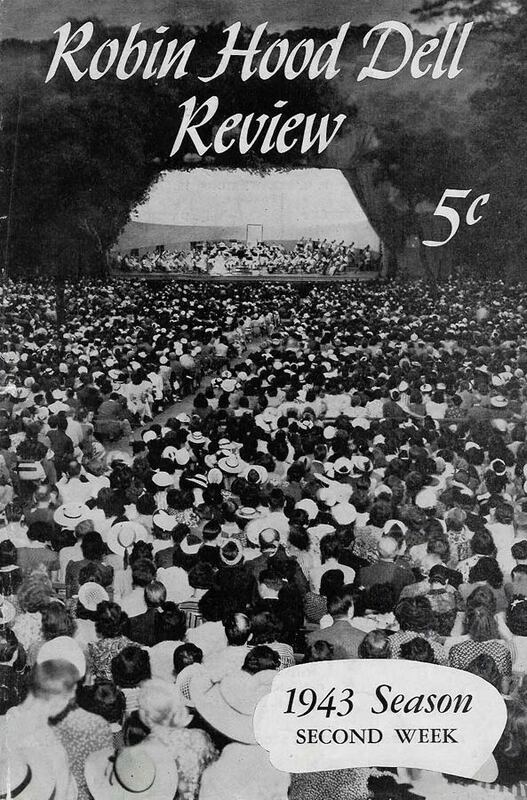 The concert grossed $55,000. 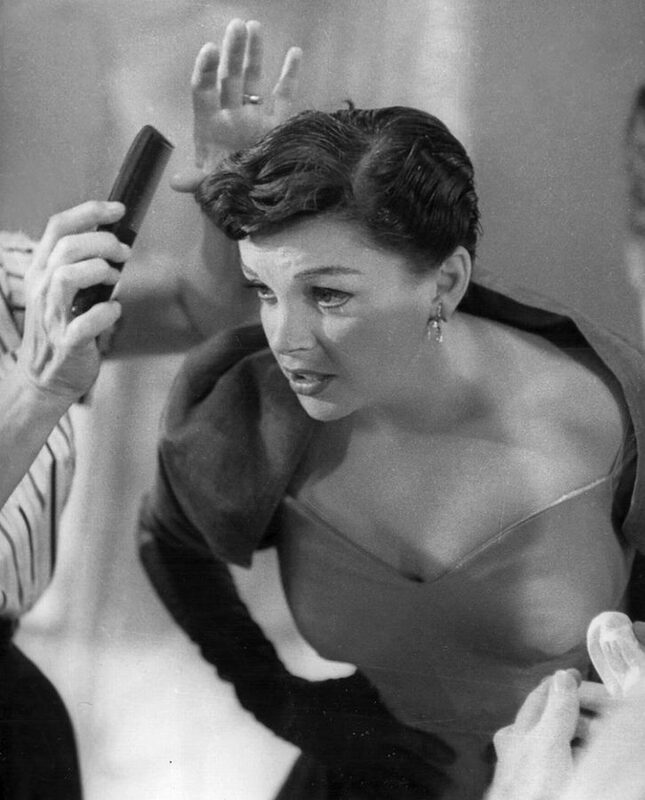 Backstage after the show, Judy told some fans that she was going to record a studio version of “What Now, My Love” “next week” but that never happened. Peter Lind Hayes interviewed Judy via phone after the show in the early morning hours of July 18th. 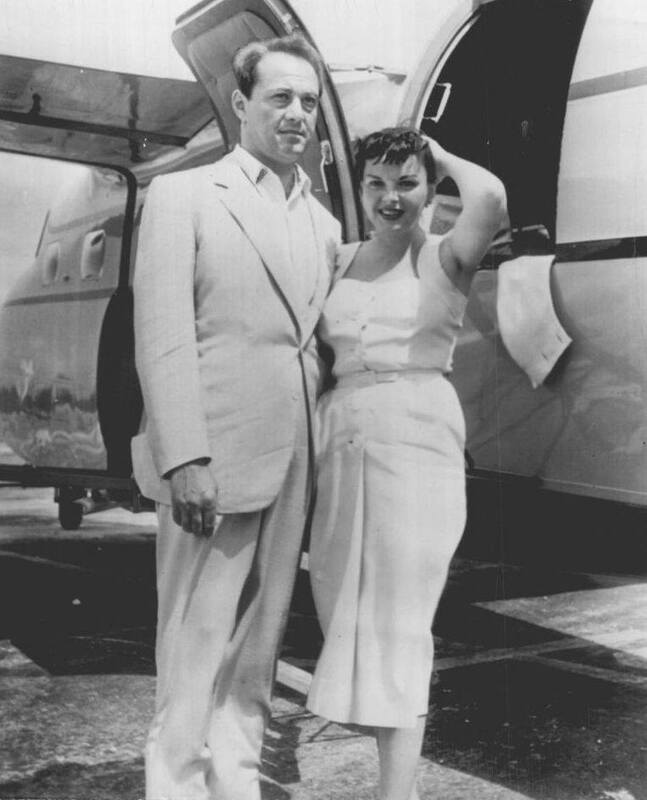 Judy and Mark Herron were at their hotel, the Regency, in Forest Hills, New York. 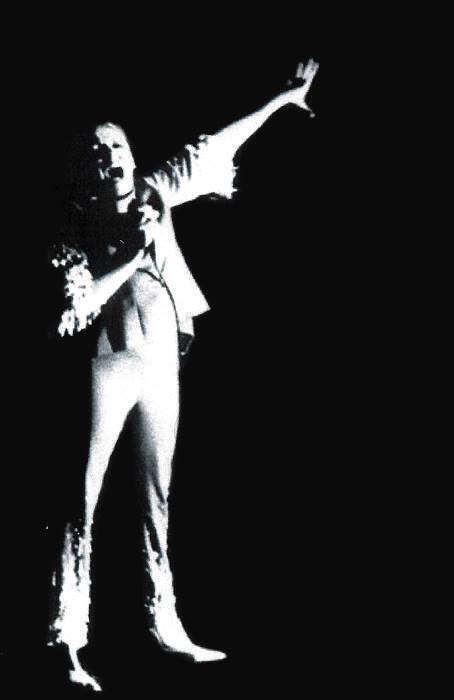 Download, the entire concert here (zip file). This file includes the interview as well.